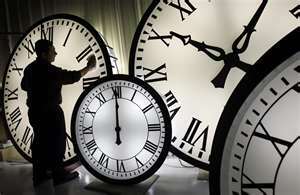 You are at:Home»Life Insurance»When is the best time to get Life Insurance? Many, particularly younger, people consider life insurance as something you should have when you’re older, when in actual fact this is not the case. Although age is certainly a consideration, the most important reasons for deciding when the right time to take out a life insurance policy is, is entirely down to individual circumstances. The common factor amongst all of these is dependents i.e your death would financially affect those closest to you and in order to protect them you should seriously consider taking out life insurance. 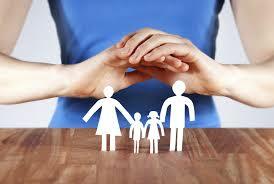 If you’re still not convinced, read our article ‘Life Insurance: Do you NEED it? 8 Reasons why you DO! !’ to give you more advice and information. So, back to the question of when is the best time to take out a policy. From an insurers point of view, the younger the person the lesser the risk for them and because of this there are certain benefits to be had. Generally, policies will be cheaper the younger and healthier you are, which means securing a 30-year term policy when your in your 20s that will protect you up until your 50s will save you a lot of money. However, it is questionable as to whether it is financially viable in your 20s unless you have dependents, as you could end up spending money unnecessarily. You would be better of investing your money into a high interest savings account and reconsidering life insurance if your circumstances change. Could your family afford the mortgage repayments? Would there be enough money for day to day expenses? Would your family cope financially? Would they be able to pay for your funeral costs? If you have an existing life insurance policy and your circumstances change, remember to alert your insurer and most importantly if you have children, remember to add their names to the policy! It is always worth evaluating your policy at this point, as there may be better deals around, just beware any small print that may involve early release fees. It is worth adding, that if you do decide to put off life insurance until you are older, you run the risk of higher premiums and worst case scenario being refused any coverage at all. The older you are the more likely your health is to deteriorate and if you do develop a condition, insurers are less likely to take the risk of insuring you. You may have been eligible for life insurance through your workplace, but when you retire you will lose that benefit. Admittedly, your financial obligations may be fewer, for instance you may have already paid off your mortgage, your children may have left home and any other debts may have been cleared, however there are other financial expenses to be taken into account, which you would not want to leave behind for your family to have to deal with upon your death. If you are completely flummoxed at where to even begin to start thinking about life insurance, why not take a look at our article ‘Term of Whole Insurance…Which Policy should you choose?‘ for some basic, easy to understand information.? It is also highly recommended that you speak to the professionals so either contact your local Citizens Advice Bureau or check out unbiased.com to help find you an independent financial adviser.